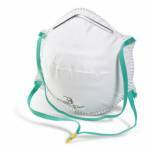 Shield Non-Woven 3-Ply Green Disposable Face Mask (Pack of 50) DK01GL Pack of 1 Shield Non-woven 3-ply Face Masks, 50 Pack. Green, with loops. 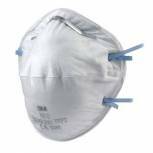 Full pleated design for maximum face coverage and allows unrestricted breathing. 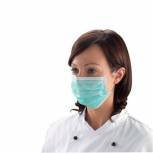 Flexible, internal metal noseband runs the width of the mask to allow a closer fit. 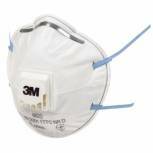 3M FFP1 Valved Respirator 8812 (Pack of 10) GT500075194 Pack of 1 3M 8812 Cup-shaped Respirator - Valved FFP1. 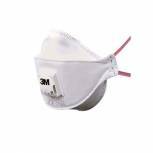 Provides respiratory protection against low levels of dust and mist. Valve reduces heat build up in hot conditions. Fits over a wide range of faces. Features convex shape, nose clip and twin straps. 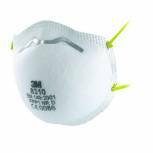 3M FFP2 Valved Respirator 8822 (Pack of 10) GT500075202 Pack of 1 3M 8822 Cup-shaped Respirator - Valved FFP2. 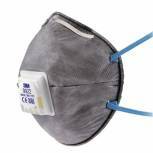 Provides respiratory protection against low levels of dust and mist. Cool flow valve reduces heat build up in hot conditions. Fits over a wide range of faces. Features convex shape, nose clip and twin straps. 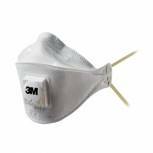 3M FFP1 Valved Fold-Flat Respirator 9312 (Pack of 10) GT500013260 Pack of 1 3M 9312 Valved Foldable Respirator. 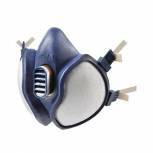 Provides respiratory protection against low levels of fine dusts and mists. Features three panel design for improved comfort and fit and cool flow valve to reduce heat build up. Folds for easy storage. 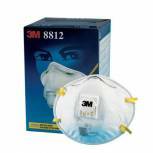 3M Half Mask and Filter Kit 7523L Pack of 1 3M Half Mask and Filter Kit 7523L. 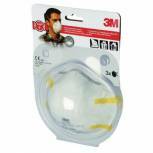 Ready to use kit with half mask respirator and A2P3 filter. 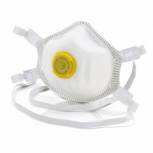 Protects against organic vapours and particulates. Low profile design allows for a wider field of vision. Lightweight for comfort. 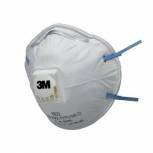 3M Respirator Half Mask Blue 4251 Pack of 1 3M Respirator Half Mask Blue 4251. Ready to use and maintenance free. 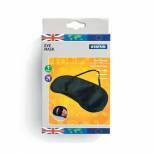 Lightweight and low profile for imporved visibility. Soft non-allergenic material with a textured face seal. 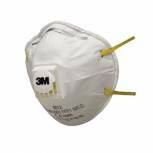 Protects against fine dust and oil and water based mist.